Summary: A DVD decryption software will decrypt an encrypted DVD and help you make copies of it for legal use. Here we will discuss some best DVD decrypters for Windows 10. Encrypted DVDs hold scrambled data which can’t be easily played by any random media player. Commercially produced DVDs have some type of encryption which is used to prevent illegal copying and disc cloning. There are two types of DRM schemes used by DVDs today which are “Content Protection for Recordable Media (CPRM)”, or by “Advanced Encryption Standard (AES)” in the “Advanced Access Content System (AACS)” DRM scheme. If someone owns such a DVD that he/she may choose to make a copy of it. But the copy process is a little bit tricky. You can’t just directly copy an encrypted DVD if you do so all you will see is scrambled data. You first have to decrypt that DVD and for this, you will need a special DVD decryption software. A DVD decryption software will decrypt an encrypted DVD and help you make copies of it legally. So in this article, we will discuss some best DVD decrypters for Windows 10 namely DVDFab DVD Copy, DVDFab DVD Ripper, and DVDFab HD Decrypter. The question arises why someone should use DVDFab DVD Copy for Windows 10. The answer is simple, if you want a perfect encrypted DVD copy solution then you should use it. First of all the The DVD decrypter for Windows 10 automatically removes encryption out of DVDs. And secondly, it lets you copy your DVDs to an ISO file, folder, or another blank DVD disc. It is a complete DVD copy solution and I think the ease of use that DVDFab DVD Copy gives can’t be found in other similar tools. Apart from that it also supports multi-language DVDs. You might have seen DVD movies with different languages and subtitles like Spanish, English, Russian etc. These are dubbed movies and have multiple audio streams. DVDFab DVD Copy lets you select multiple audio languages and subtitles. DVDFab DVD Copy provides six main functions which are listed below. And if you ever want to add meta info to your DVD before copying then DVDFab has a special meta-tool for it. Meta info contains DVD info like date of release, type of movie, actor names etc. You can manually add the meta info in your new ISO, folder, or blank DVD if your original DVD doesn’t have it. Older Windows versions like Windows 8/7/Vista are fully supported. 2. Main Movie: Only copy the main movie and skip the rest. You also have options to ‘Choose Other Titles’ and select multiple DVD chapters for copying and save them as an ISO, folder, or burn to a blank DVD disc. Only one title can be selected at a time in ‘Main Movie’. 3. Clone/Burn: Make a copy and burn the DVD content to another blank DVD in a 1:1 lossless ratio. You can also save an ISO in a 1:1 lossless ratio. 5. Customize: Copy any content from the DVD disc you want. A DVD has multiple video files. So in ‘Customize’ function you can choose which video files you want to copy and which videos you want to skip. All of the above-mentioned functions will let you save the encrypted DVD as a decrypted ISO, folder, or will let you burn it directly to a new blank DVD. Also note that the DVD decryption process is automatic and you don’t have to bother about it. A DVD copy process may take a long time but DVDFab provides Intel Quick Sync, Nvidia CUDA, and AMD Acceleration to boost the copy process and reduce the processing time. Ripping simply means directly converting the DVD video files to other video formats. DVD ripping is exactly the same version of video conversion. But in DVD ripping we use DVD video formats rather than any other format. Encrypted DVDs can be easily decrypted and ripped with DVDFab DVD Ripper for Windows 10. 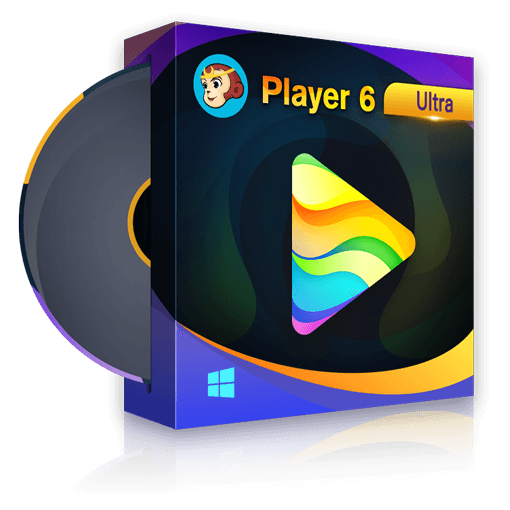 It is fully compatible with the newest DVD encryption schemes and decrypts DVDs without much user intervention because the decryption process is automatic. The software is also good to go with Windows 8/7/Vista. The DVDFab DVD Ripper can convert a DVD video to almost every video format that you have come across ever. Not only it converts the DVDs but decrypts them automatically. DVDFab DVD Ripper provides an option to ‘Choose Other Titles’ so that you can select all the videos on the DVD and rip them. Multi-language DVDs are fully supported and DVDFab DVD Ripper lets you select multiple audio languages and subtitles. Don’t forget the built-in video editor of DVDFab DVD Ripper. It provides a set of video editing tools like multiple trims, crop, rotate, subtitle, watermark, and video enhancements. The multiple trims tool let you trim multiple unwanted scenes from a DVD video at once. Once the DVD gets ripped to digital formats like MP4 then it would be easy to play those files on multiple media players. And the DVDFab DVD Ripper also supports Intel Quick Sync, Nvidia CUDA, and AMD Acceleration for faster processing and conversion. When DVDFab DVD Copy runs beyond the trial period it simply converts to the free HD Decrypter which is a free DVD decrypter for Windows 10. DVDFab HD Decrypter is the stripped version of DVD Copy which misses a lot of useful features. Though it misses the pro features still it is good for decrypting and copying DVDs. DVDFab HD Decrypter works the same way as the DVDFab DVD Copy but in a very limited way. Here’s a list of its two main functions below. Full Disc: The ‘Full Disc’ function lets you copy the entire DVD disc to a folder. If you want to make an ISO or burn a blank DVD then you have to install ImgBurn as DVDFab burning engine isn’t available for HD Decrypter. Main Movie: Only copy the main movie and skip other videos. You also have options to ‘Choose Other Titles’ and select multiple DVD chapters for copying and save them as an ISO, folder, or burn to a blank DVD disc. Only one title can be selected at a time in ‘Main Movie’. To select ImgBurn as the burning engine. Follow the steps below. · Open DVDFab 10 software and click the ‘Settings’ icon just before the window minimize button. From here select ‘Common Settings’. So these were the three best DVD decrypters for Windows 10. DVDFab DVD Copy provides DVD copy solutions while DVD Ripper provides DVD ripping solutions. Both the software are good at performing their job. With faster processing and conversion it is quite possible to save time on DVD copying and ripping. Though these are paid software and may be overlooked by people who want free solutions. But DVDFab also has a free DVD decrypter tool for Windows 10, the HD decrypter which has limited features but is completely free. Do you love alien movies? Do you often watch movies on Netflix or by renting Netflix DVDs/Blu-rays? Here are top 10 best alien movies on Netflix for your enjoyment.